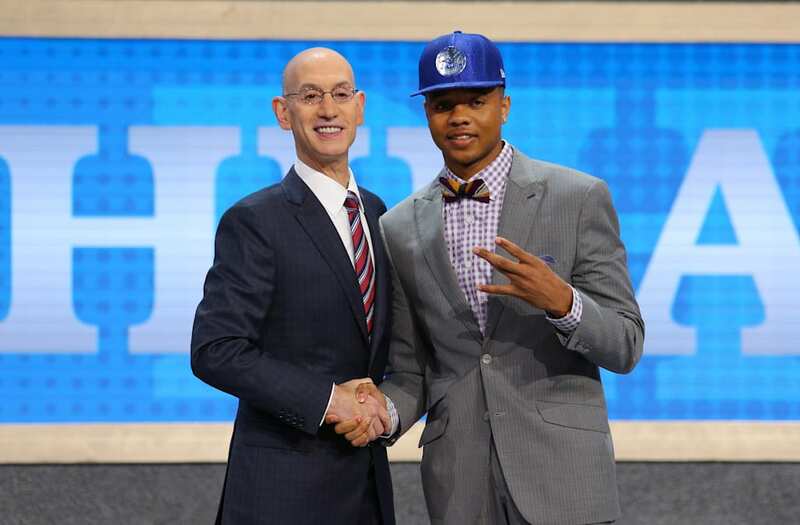 NEW YORK, June 22 (Reuters) - The Philadelphia 76ers selected University of Washington guard Markelle Fultz with the No. 1 overall pick in the NBA Draft on Thursday, bolstering the team's young core by adding the 19-year-old playmaker. The 76ers went all out to get their man, trading their No. 3 overall pick plus a future first-round pick to the Boston Celtics to secure the Maryland native. Known for his all around offensive ability and athleticism, Fultz starred in his lone year at the University of Washington, averaging 23 points per game, along with more than five rebounds and five assists. The 6-foot-4 (1.93 m) guard becomes the second consecutive No. 1 overall pick by Philadelphia, following forward Ben Simmons last year. Fultz, Simmons and another recent Sixers high draft pick, big man Joel Embiid, form a promising young trio that could allow Philadelphia to rise from the bottom of the league. The Los Angeles Lakers used the second pick to select UCLA playmaking guard Lonzo Ball, who led college basketball in assists. Boston then used the No. 3 overall pick to add small forward Jayson Tatum of Duke, one of the most polished scorers in college basketball.